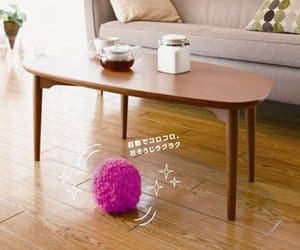 Enjoy cleaning the easy way without having to lift a finger using this fur ball robot vacuum cleaner! This little gizmo sets off on a mission to bust the dust and dirt around your home. It even sings a tune while it's working! When it's dirty simply wash the furry covering ready for re-using.